I love summer collections from The Body Shop, their bath and body products smell so good! 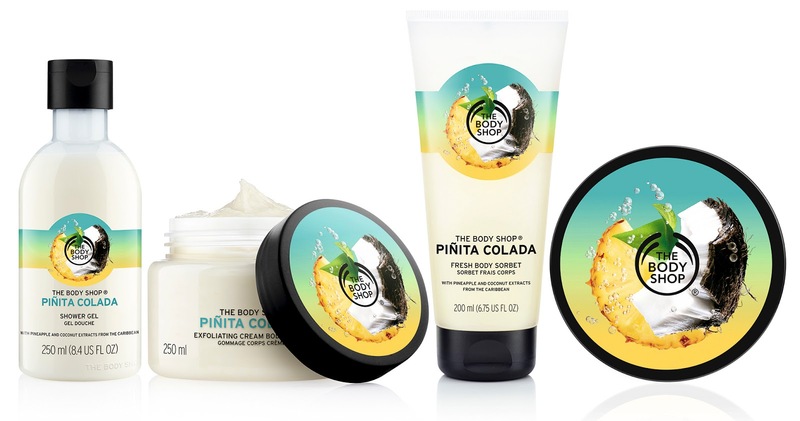 Following on from last year’s Virgin Mojito range, The Body Shop have released the Piñita Colada collection. When you thought they couldn’t possibly get any better, they come and hit us with their best Summer collection yet! The exotic launch just screams summer and it smells like the summer cocktail with creamy coconut and juicy pineapple. This gives it a fruity fragrance that’s sweet yet refreshing. The collection consists of 4 products; shower gel, body butter, body sorbet and body scrub. I managed to get my hands on the other 3 tropical treats. The exfoliating cream body scrub is my favourite out of the mini collection. This scrub is so gentle yet effective, its scrubby bits made from shredded coconut, leaves your skin so soft. Lightweight, hydrating sorbet with a cooling burst of fresh moisture. If the summer sunshine peeking out isn’t enough to put a spring in your step then you need this in your life. It is seriously delicious! It’s very moisturising and perfectly cooling making it great for soothing pesky sunburn! Holiday must-have! The Body Shop are well known for their body butters and I do love them, but this one is different. It is so hydrating but lightweight! 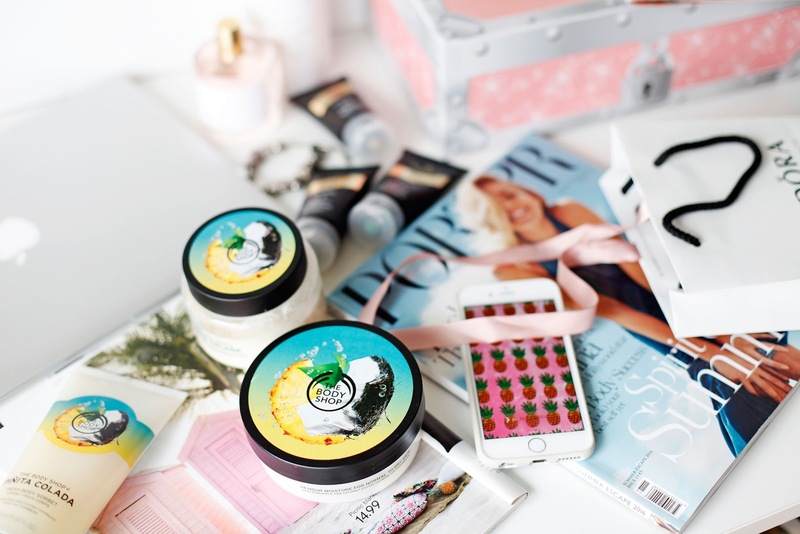 Body butter doesn't smell like Piñita Colada collection it smells like a tropical scented yoghurt! The Body Shop's Pinita Colada summer collection is limited edition so make sure to pop in to one of their stores to check it out.